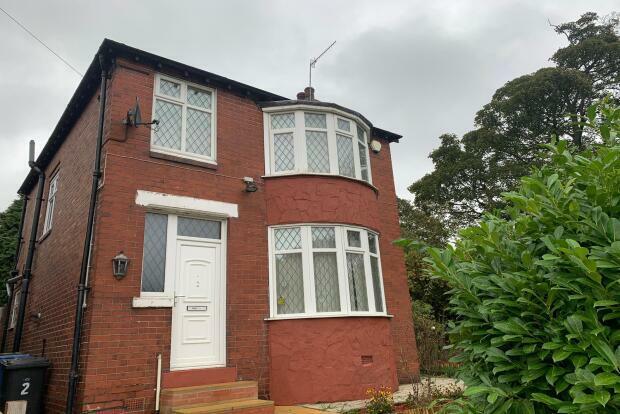 3 Bedroom House To Rent in Sheffield for £695 per Calendar Month. Available from mid-July this well presented three bedroom house is detached and also comes with off road parking and garage with gardens to the front, rear and side of the property. As you enter through the front door you are lead into a spacious hallway with leads off to the lounge, dining room and kitchen. The lounge is a good size with bay window and feature fireplace which leads through to the dining room with lots of natural daylight and fitted shelving unit. The kitchen which leads out onto the rear garden comes with integrated fridge freezer, gas hob and electric oven and is modern with cream gloss units and wooden effect worktop. The first floor boasts two double bedrooms and one single bedroom. Both of the larger bedrooms have fitted wardrobes making more floor space and the single bedroom offering lovely views over the garden. Longley park is just a two minute walk away for those who like the open space but the benefit of being close to the city, motorway links and local shops. Northern General Hospital is just a five minute drive away - or a twenty minute walk for the more health conscious tenants. To have any questions answered or to book your viewing call us direct on 0114 2232222.